Enterprise App Development: What To Work On First? Outlining the parameters of your enterprise application and product lifecycle is essential to the success of any business venture. Every web or mobile application has a unique set of requirements, and therefore every product needs a unique set of guiding principles to help prioritize those requirements. Following are a few examples of how PixelEdge clients and other leading brands have used their own guiding principles to develop a product roadmap and perform prioritization. Some enterprise applications require more complexity than others. Stakeholders should ask themselves: Is the product geared towards a singular function, or does it have several important functions? If it is intended to be multi-function, are all functions necessary at launch? Could functionality grow over time with phased releases to the added functions? 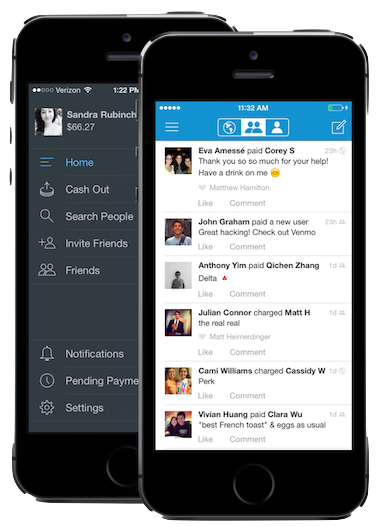 At launch, the popular payment solution Venmo had a singular benefit to the end user: it allowed friends to quickly split bills. Development processes involve different types of actions. Knowing what action types are appropriate for your team helps with communications and task breakdown. Each team comes up with its own list of action types. 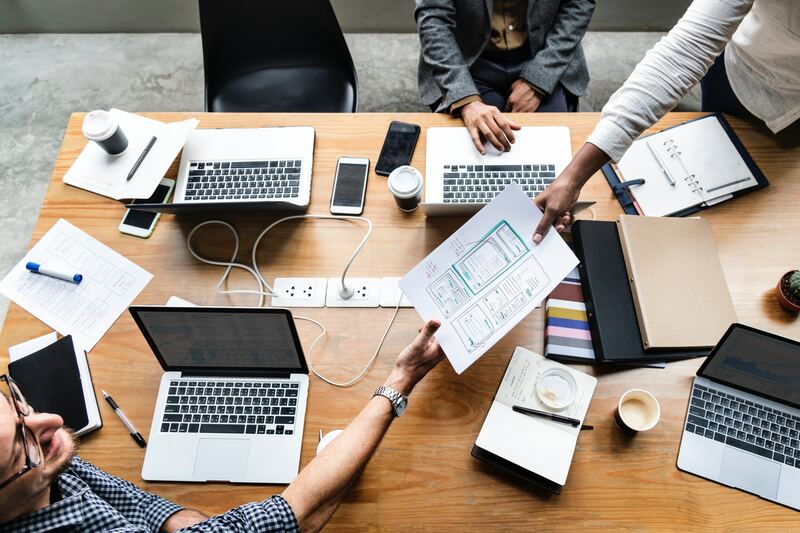 To evaluate prioritization, some business stakeholders may simply want to understand the product’s main features and the corresponding level of effort. By contrast, an implementation team working on a weekly iteration cycle would have different actions such as research & development, technical design, and usability. Below is an example of action types used by an implementation team. Understanding what devices and channels will be supported at what time can also be valuable to driving appropriate prioritization. Is the intent to create a product that users will access on a laptop, a tablet, on their phones, or via some other mechanism (e.g. kiosk)? If the goal is a laptop or desktop, is the channel via a desktop application or a browser? If the product is intended to be mobile-friendly, is iOS or Android needed, or both? Wearables: Smart watches, fitness bands, etc. When thinking about your product roadmap, most companies decide to phase in all the devices and channels they want to support. Below is an example of how inKind Space mapped out theirs. Understanding the nexus between the different user roles and frequency of expected use can be valuable for prioritizing product development. An enterprise application that is used by internal client staff on a regular basis will have different requirements versus a application that is used by consumers with a lower frequency. 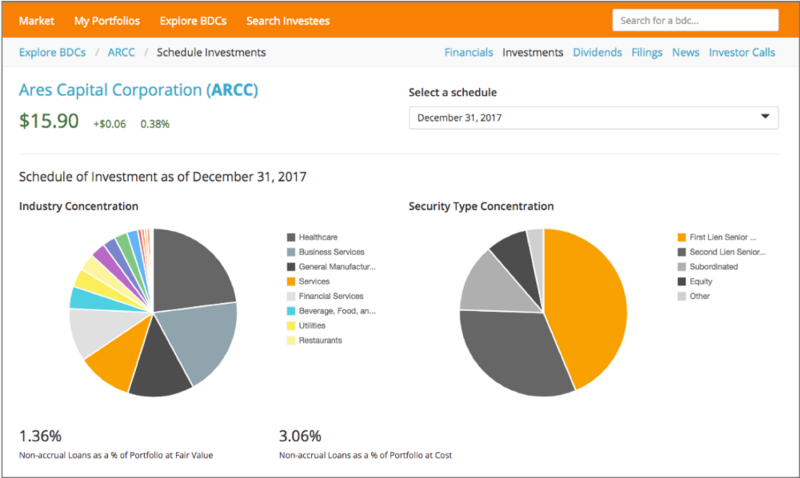 The screenshot below shows a financial analysis product that is used by some end users for a few weeks every quarter — around the time new financial reporting data is made public. This usage pattern impacts the prioritization process, as it means that the enterprise application should be easy to use, with intuitive access to all features, data, news, and reports. 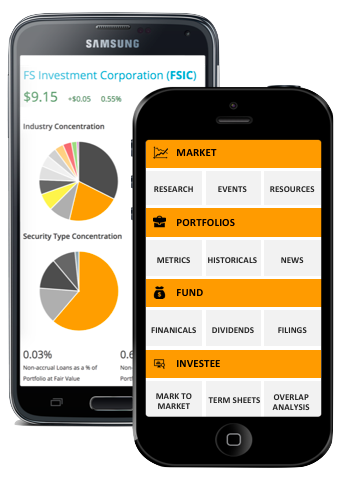 By contrast, the screen shot below shows the admin dashboard for the same financial analysis solution. Administrators use the dashboard on a daily basis. Hence, the admin dashboard has different needs and prioritization requirements. While the user interface has to be functional, it does not require as much design effort. A few users working on the product regularly will learn the product so UX may be a lower priority compared to the example above. Understanding the pace at which you would like product development to proceed is a piece in the prioritization puzzle. Is it a sprint to finish V1.0 and then slow progress after V1.0? 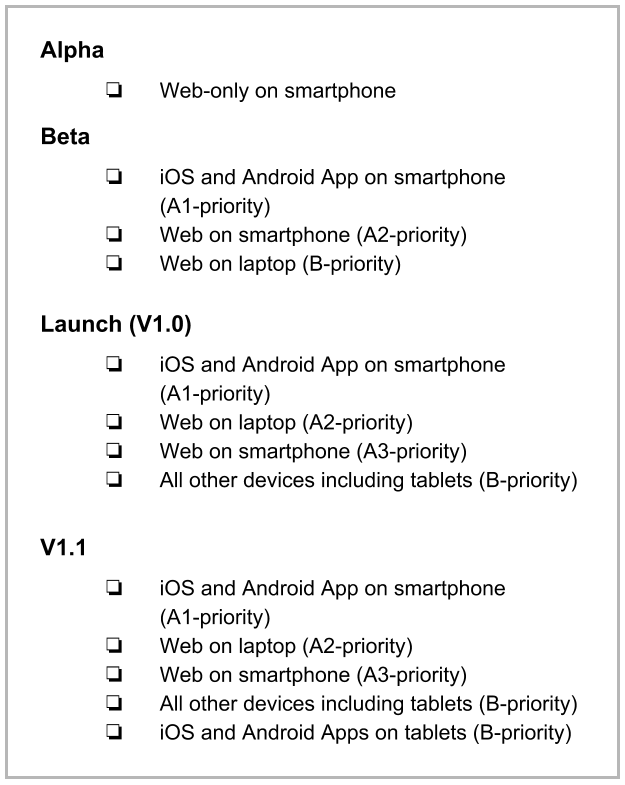 Or is V1.0 just the start, while subsequent versions will cover more features, channels, and devices? 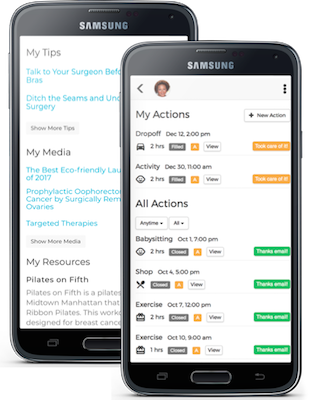 A study by Stanford university found that up to 90% of overall cost can come after the launch of V1.0. 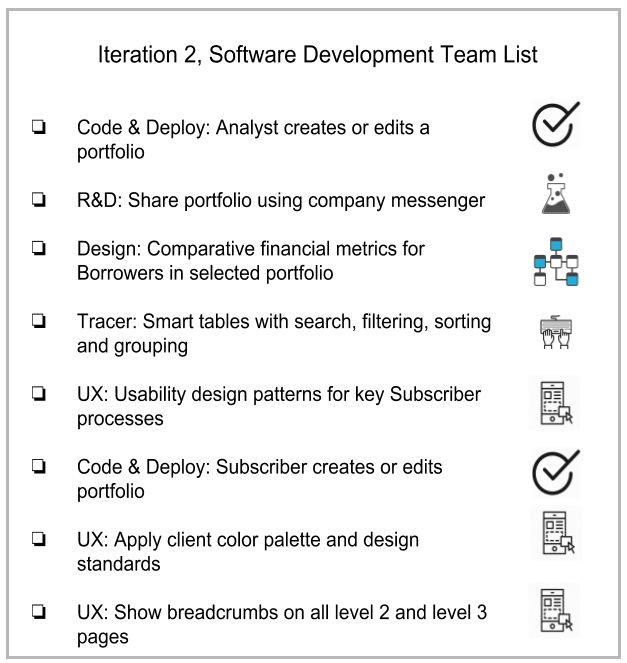 The diagram below shows the application development pace for Thomson Reuters middle market funds product. Are there guiding principles you feel we have missed? Something unclear? We would love to hear your feedback.